During a seasonal time like this, inspirations will be everywhere. For Fall, Halloween, Thanksgiving and especially Christmas. 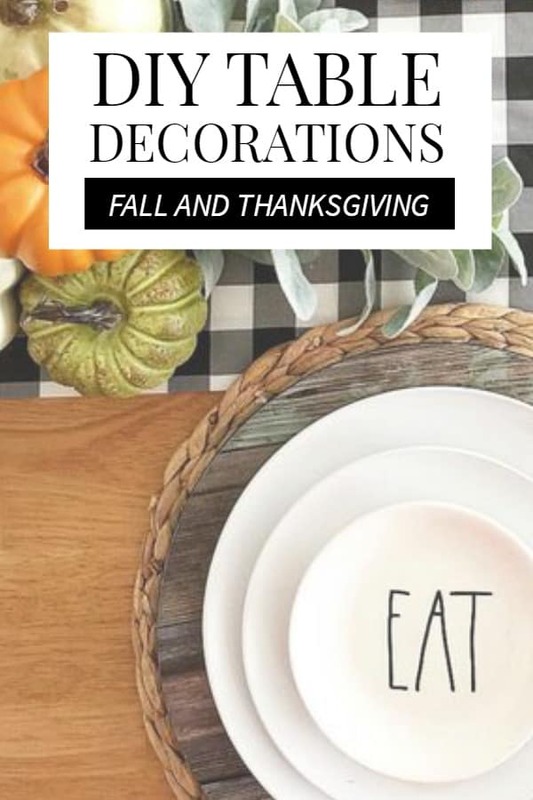 This time I want to share some of DIY Fall table decorations for your home! If you see some of my posts before, I am a sucker for DIY. Since my husband bought me a sewing machine. I found myself that I am a die-hard fan of DIY because every time I need to relax. I always sew some random stuff — random means clothes and pouches. While sewing last time, I am intrigued to make a table runner for my dining table because I never have one. Some stores may have sold it but it looks cheap. So I tried to look for some inspirations and see what kind of table runners I can make for a beginner like me. Here’s the thing why I LOVE DIY. Anyone can make any type of DIY! Make an expensive-looking DIY without having to spend a lot of money. Back to the table, while looking for table runners. I happen to see there’s a lot of beautiful DIY table decorations everywhere and I found a bunch of great stuff. 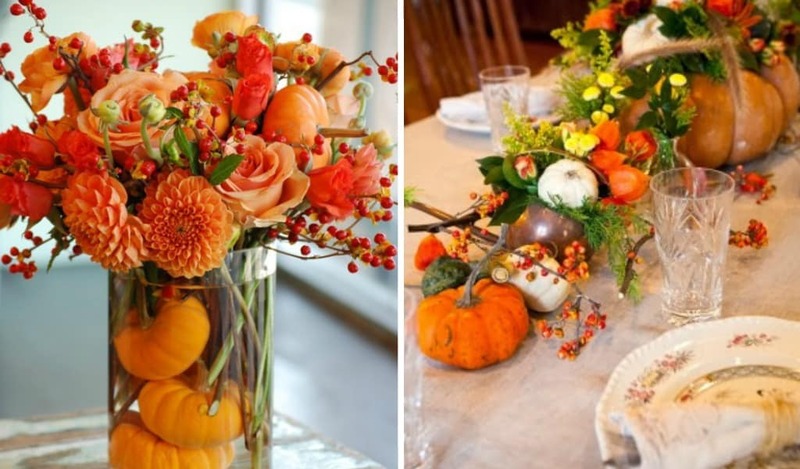 For your information, all these DIY Fall table decorations are not super hard to make. I’m making sure that even a non-DIYers can make this anytime they want. That is the beauty of DIY because you can make things based on whatever level you are. So, get your hands ready and let’s start this! I love, love, love the color combination for this table decorations. 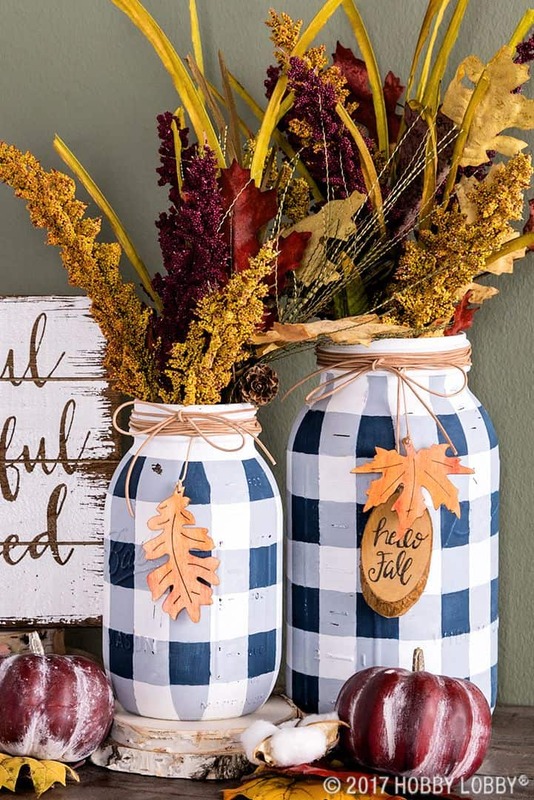 It’s a perfect farmhouse decor ideas. 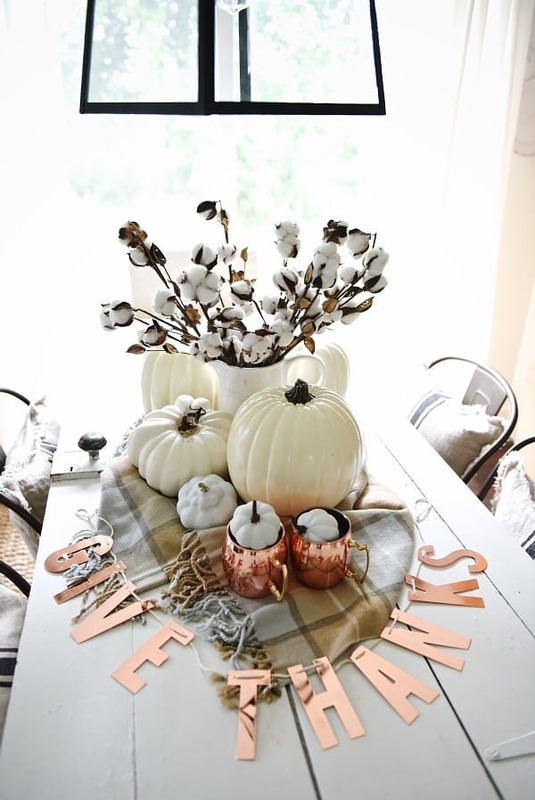 Check out how to make this neutral and copper table centerpiece. You don’t have to be an artist or expert crafter to make this Buffalo check mason jar vases. This is the easiest and most stunning centerpiece that won’t cost you a lot of dimes. Perfect for last-minute DIY for your house too. Make this DIY tiered baskets as a fun activity you can do with your kids. If you like a clean an neutral look. 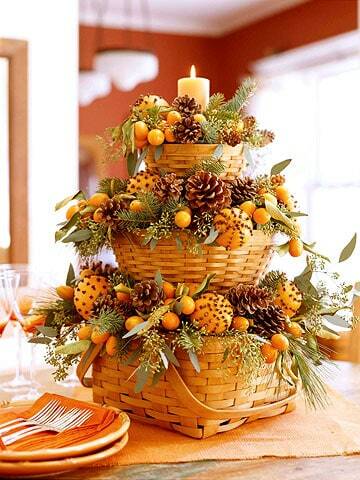 You definitely love this centerpiece idea. 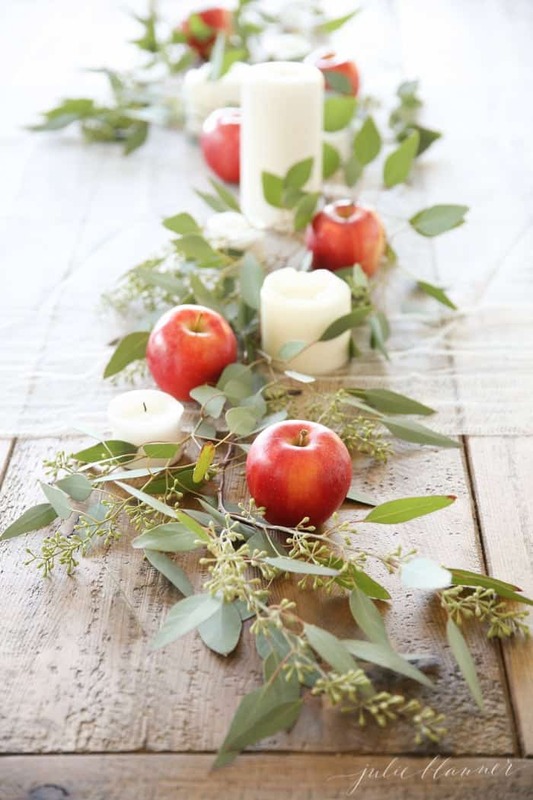 Most important is it isn’t hard to make this Fall table decoration. 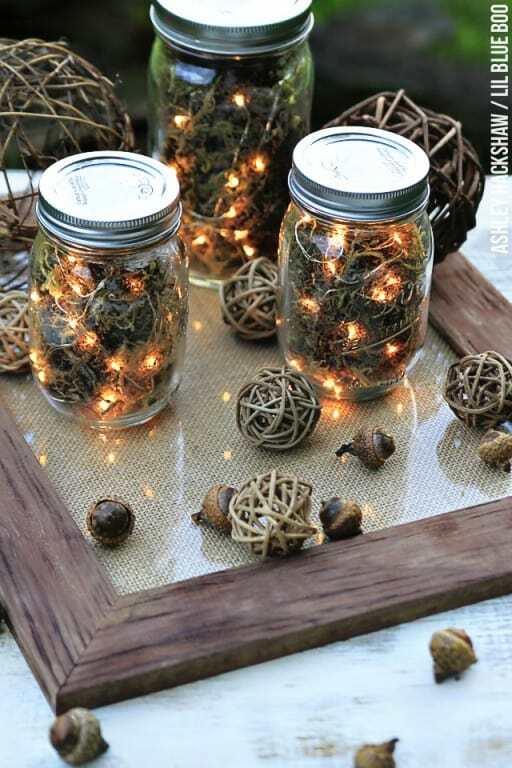 You have no ideas how easy it is to make this Mason Jar Firefly Lanterns. No flammable and kids-friendly! Okay, even though the instruction site of this flowery pumpkin table centerpiece is not in English. You still can follow their step by step clearly. 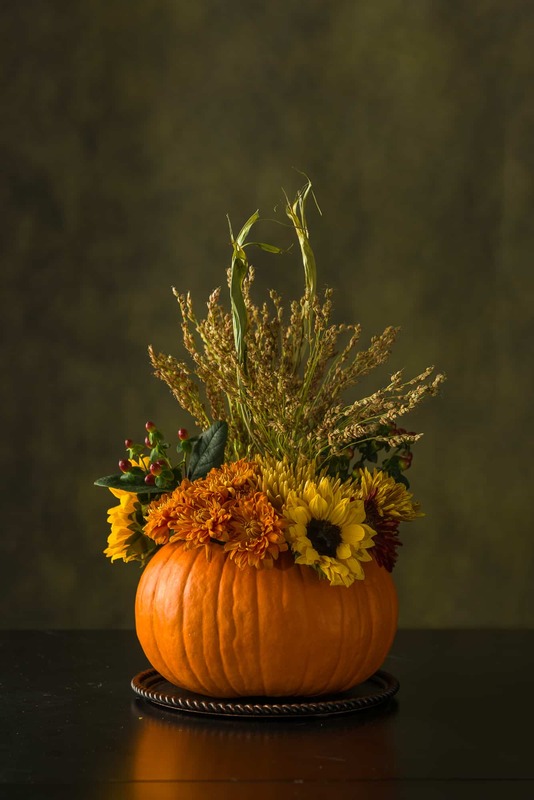 This beautiful flower vase with pumpkin is super easy to make. If you want a simple table centerpiece on your dining table or living room. This is perfect for that! Just remember to use a fake pumpkin to soak in the water. Less messy for you! 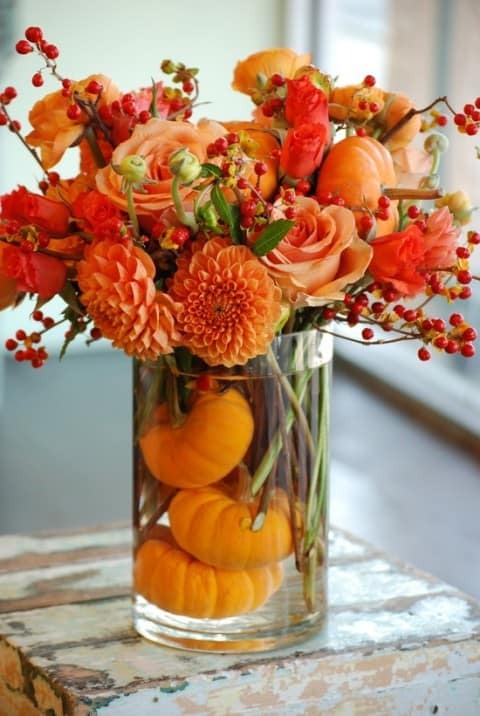 Forget the regular flower vase and try to make this Pumpkin Vase. Grab your guest’s attention right away! One pumpkin for one name. 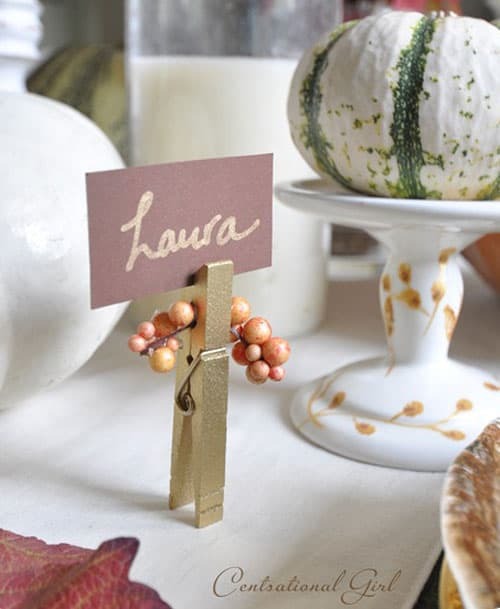 This is the simplest and easiest table name setting ever. When Fall is here, you will be in a sweater weather. 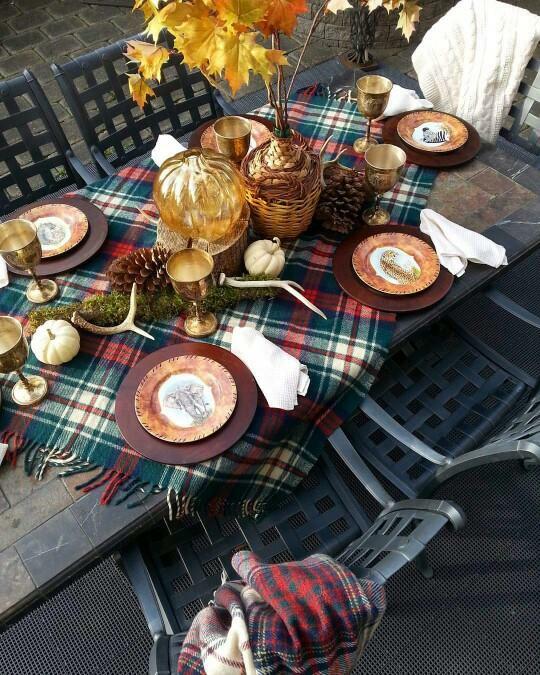 Those things are what inspired Dawn to create this Fall tablescape on a beautiful crisp fall day. Love the combination color! You can make anything for your table runner just like this Herringbone Table Runner. Make one for your home. 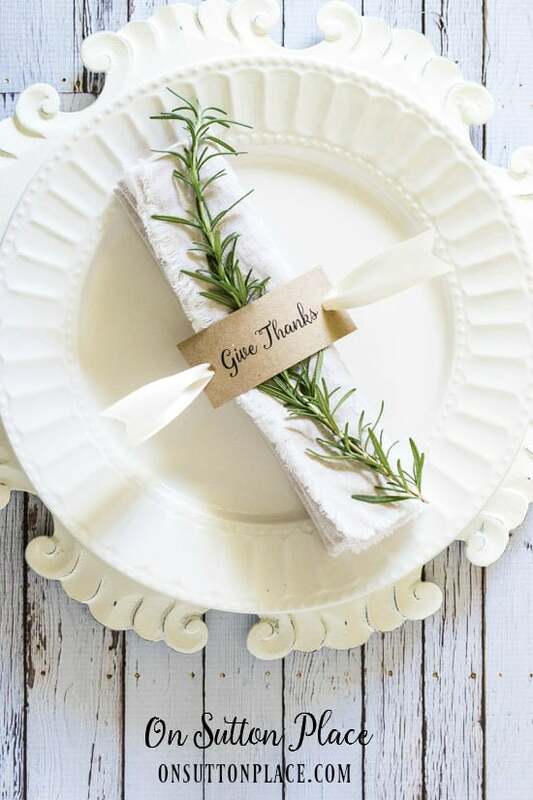 Try to make this DIY napkin ring only by adding some craft supplies will make your table setting look fabulous. 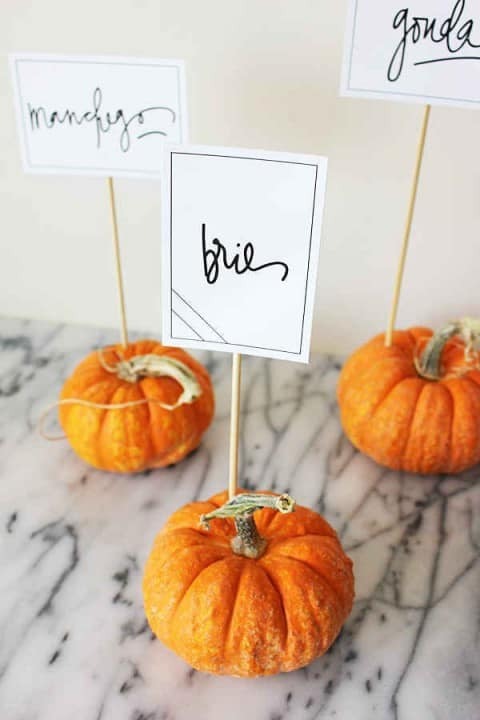 These DIY place cards are fun, inexpensive and super easy. 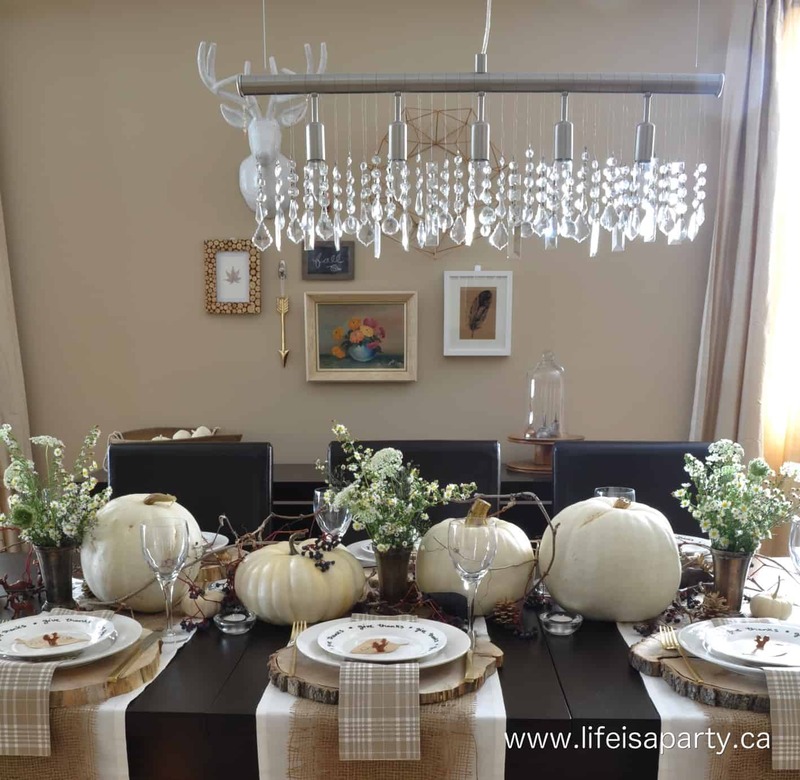 It can be changed up for other special occasions such as Thanksgiving and Christmas. 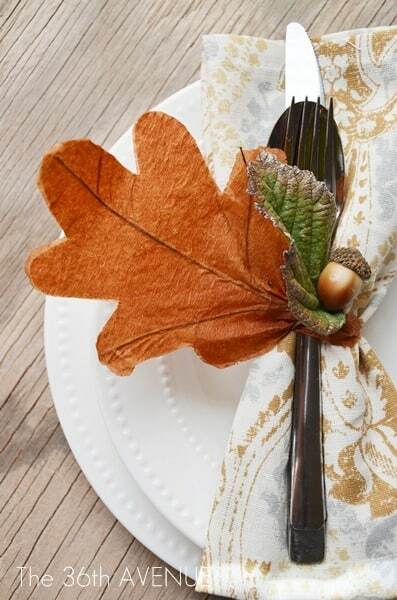 These beautiful thanksgiving napkin rings are easy, fast and budget-friendly! This is a genius idea! 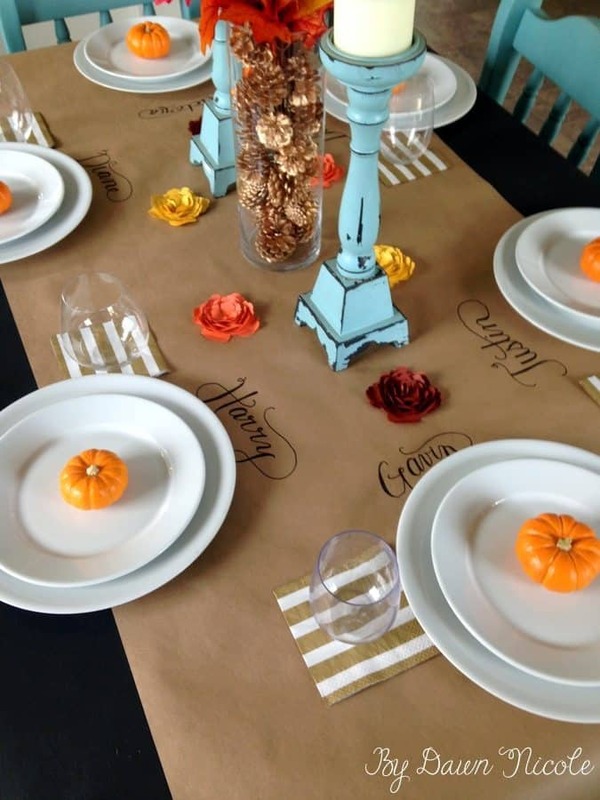 Love how easy yet minimalist this Kraft Paper Table Runner look. 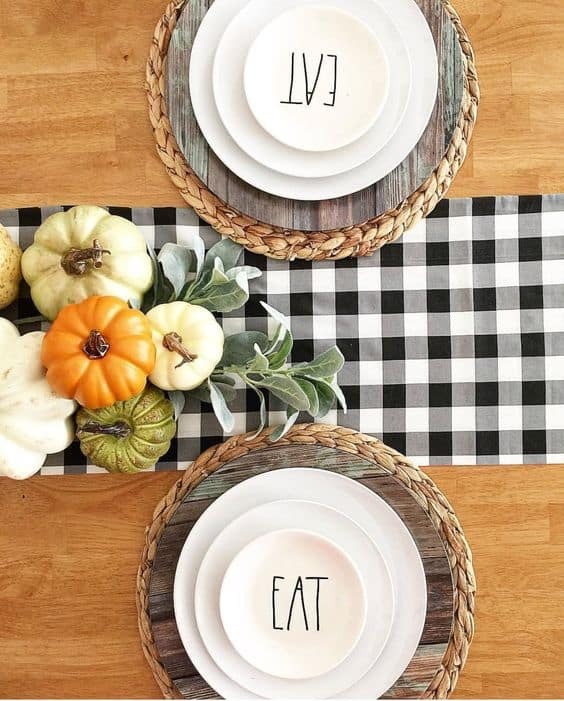 Who knows a checkered table runner would be a great pair with pumpkin decorations? 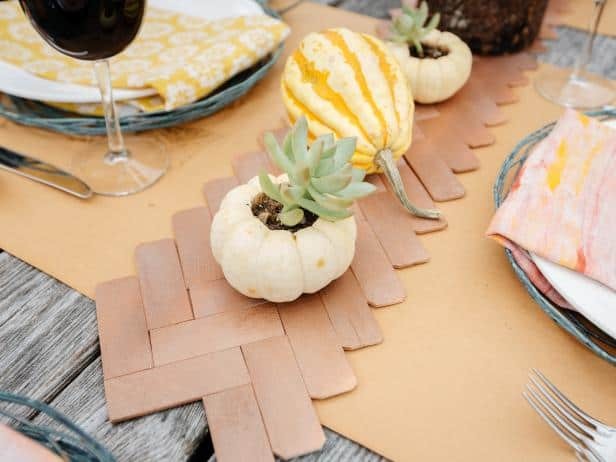 You can definitely feel Fall vibes with this table setting. 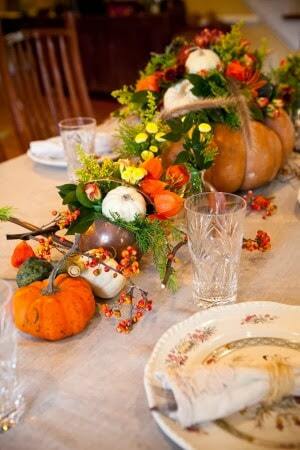 This rustic and neutral table setting is great for Fall and Thanksgiving setting.